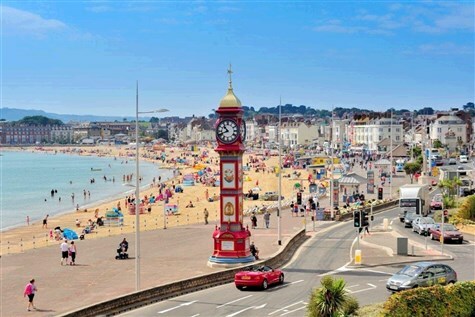 The great sweep of Weymouth Bay encompasses a superb vista of land and sea. The views from the bay are spectacular, stretching across the horizon taking in the World Heritage Jurassic Coastline. Weymouths fine Georgian seafront is an impressive backdrop to the Blue Flag award winning beaches and the seafront is connected by over three miles of level promenade which provides access to the beach, the historic harbour and a traffic free shopping centre.